This is our Premium "Bless this Nest" Kit only available to current members of Desiree's Mug Rug Club. This kit contains 2 fat quarters of main fabrics and assorted blocks of fabrics for owls, wood, hole in tree etc. One exclusive Desiree's Designs Owl Mug. This kit also contains one owl split bottom hanger. 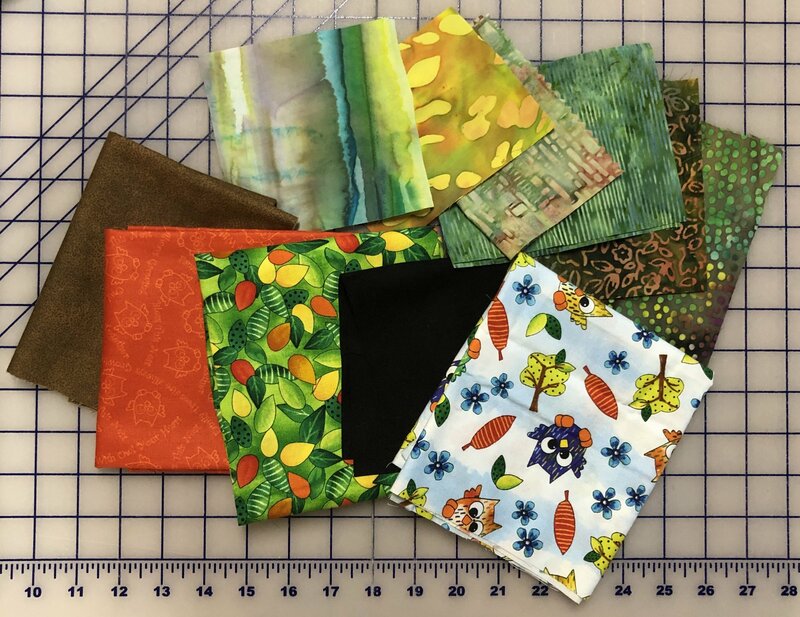 This kit has a green option and a brown option on the leaf fabric. All other elements are the same. The owl tossed fabric is completely gone so another fabric will be substituted.